The resource owners of the upcoming multimillion kina Wafi-Golpu mine project in Morobe are learning from the mistakes of resource owners of other past mining and petroleum projects around the country. Wafi-Golpu Joint Venture, currently engaged in the project with an exploration license and bidding for a mining permit from the national government, is encouraging the resource owners from Babuaf, Hengambu and Yanta to learn from past mistakes and to come up with the best agreement for maximum benefits. WGJV General Manager Sustainability and External Relations, David Wissink, said this approach of talking and working together with the stakeholders is very important for the landowners. 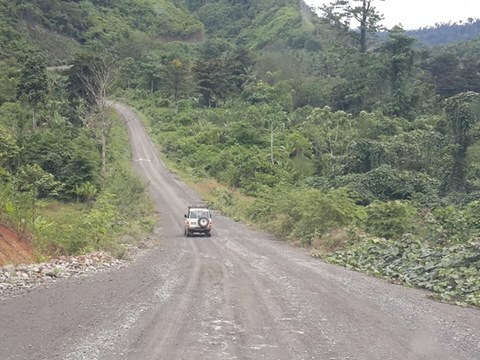 "Its important for the landowners of Wafi-Golpu mine project area, to see and learn from the mistakes of landowners from other projects in PNG and not to repeat them," Mr Wissink said. Mr Wissink, a former OK Tedi Mine manager with eight years experience, was able to share some insights to the landowner representatives from Babuaf, Hengambu, Yanta as part of their fact finding mission to Ok Tedi mine recently. The visiting delegation of landowner representatives were given a tour of the existing infrastructures, some of which Mr Wissink was formerly involved in. Mr Wissink in Ok Tedi they had a lot of successes and a few mistakes “and its good for the landowners to see first hand as opposed to” developers telling them. He said, “they went, saw it and talked to people, the landowners, the local business communities, and they saw for themselves what can happen if everybody works together”. Mr Wissink, was speaking during the first ever consultation meeting with the political leaders from Morobe, which was attended by Morobe Governor Ginson Saonu and a few MPs. As the industry regulator, the Mineral Resources Authority, Mr Wissink said, is also an important stakeholder in the whole process.